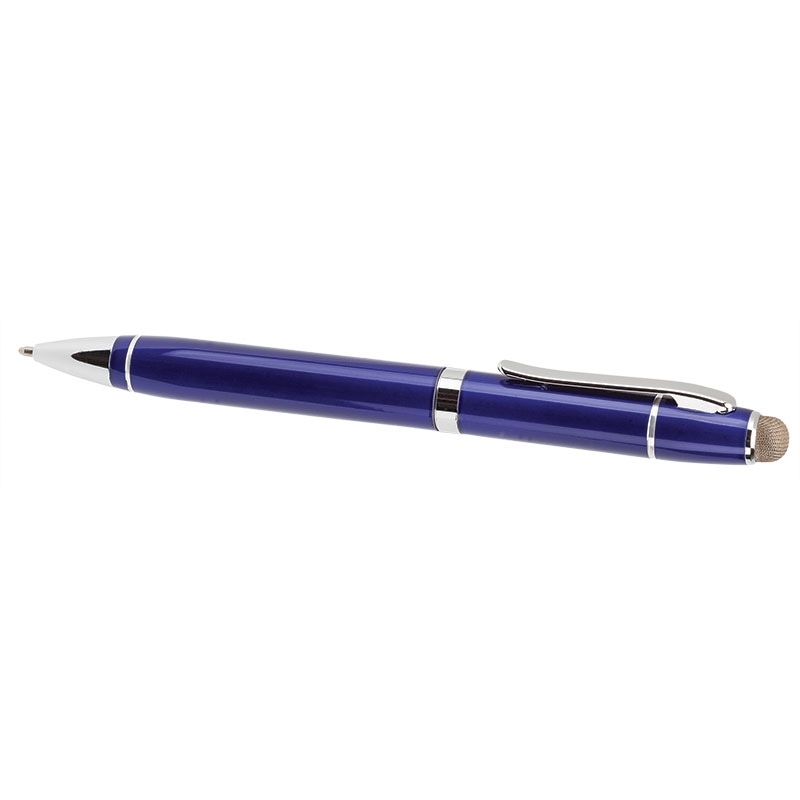 twist tip and pocket clip. 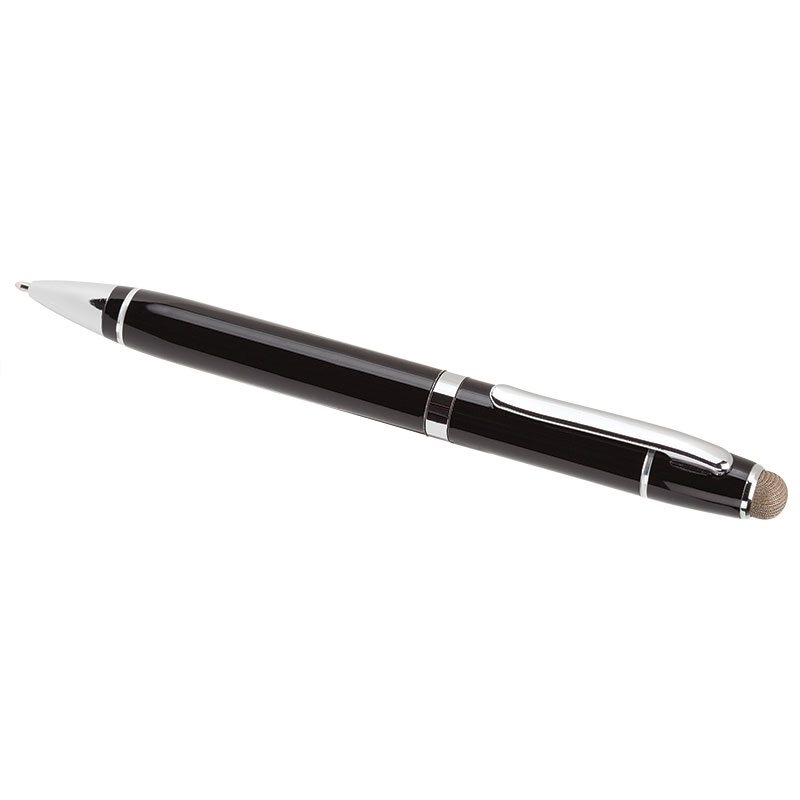 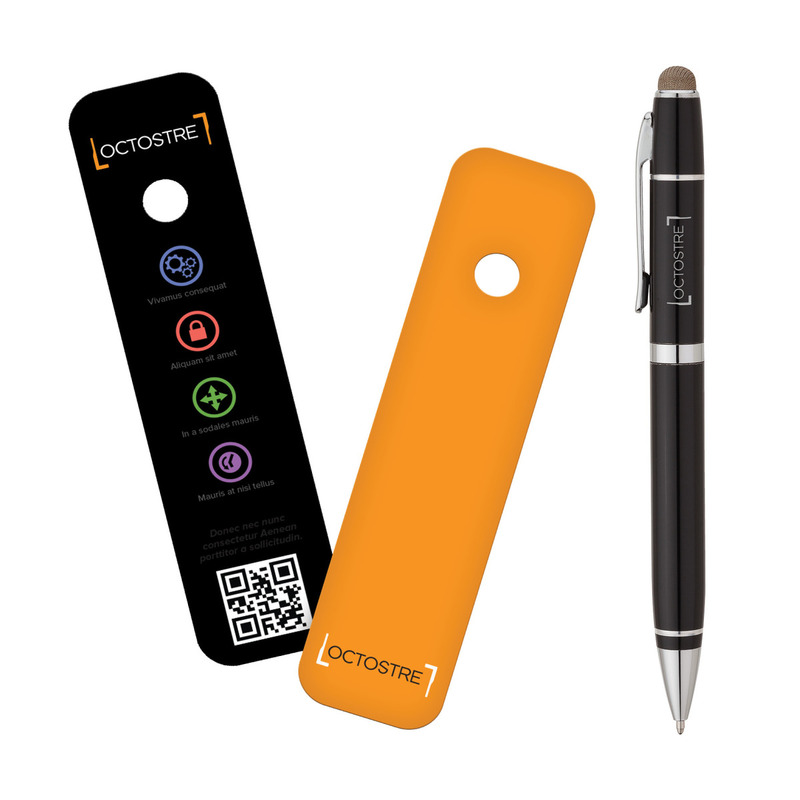 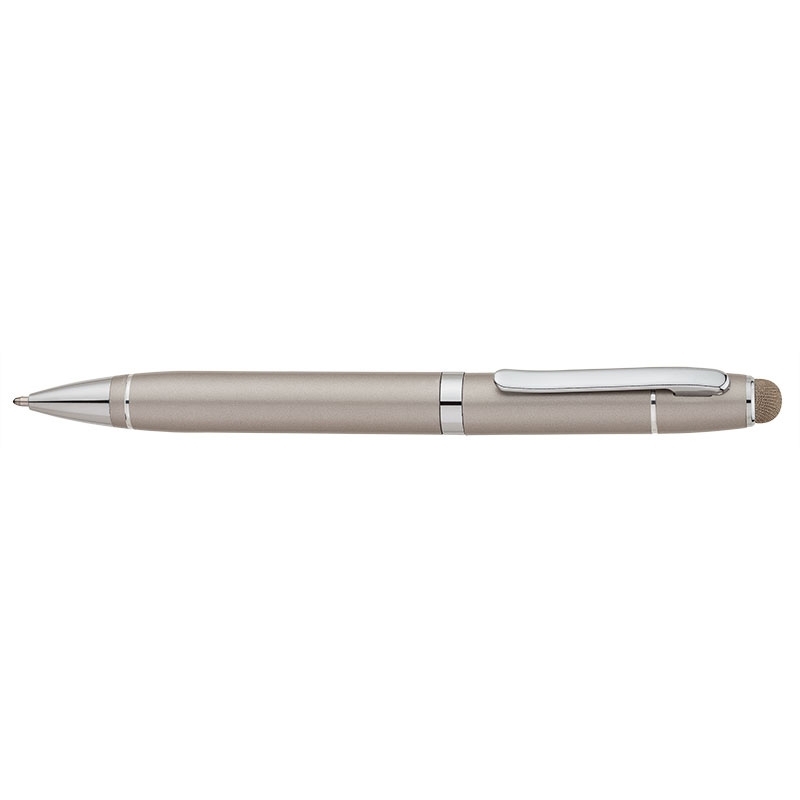 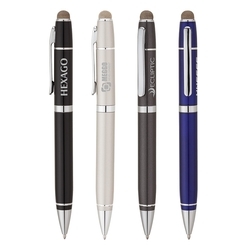 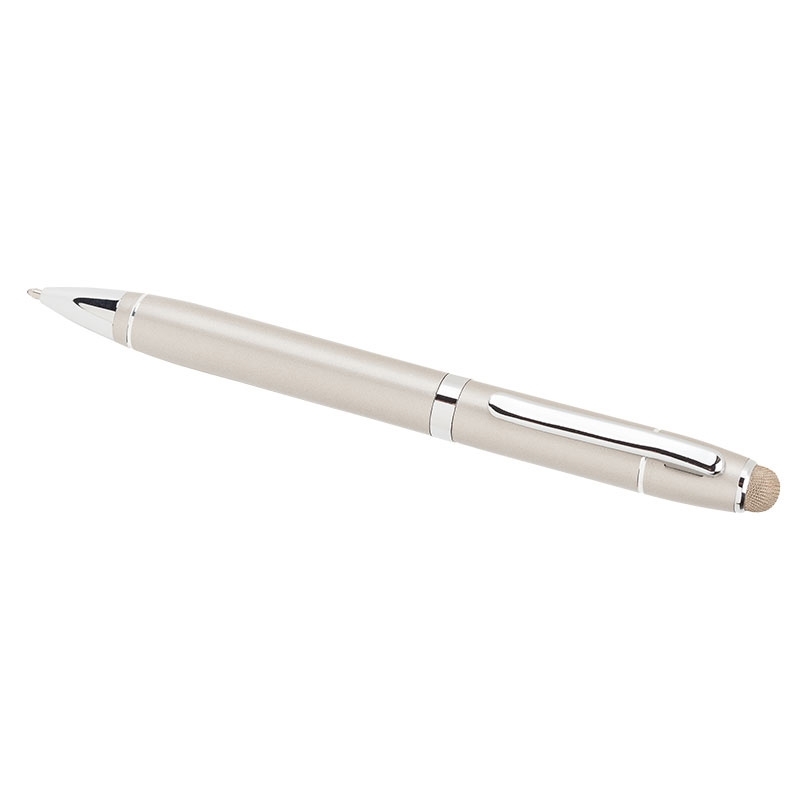 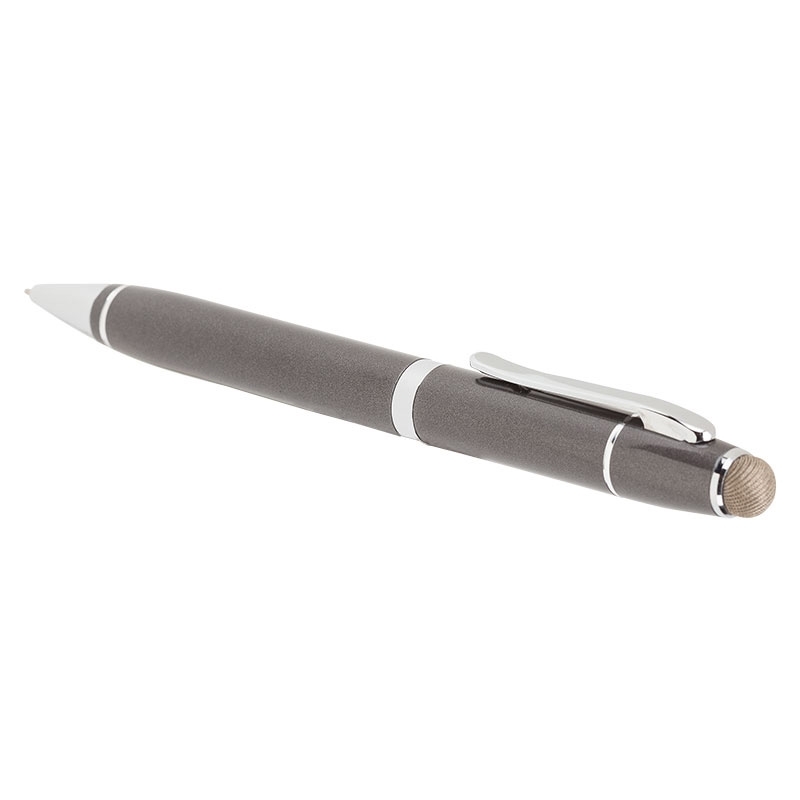 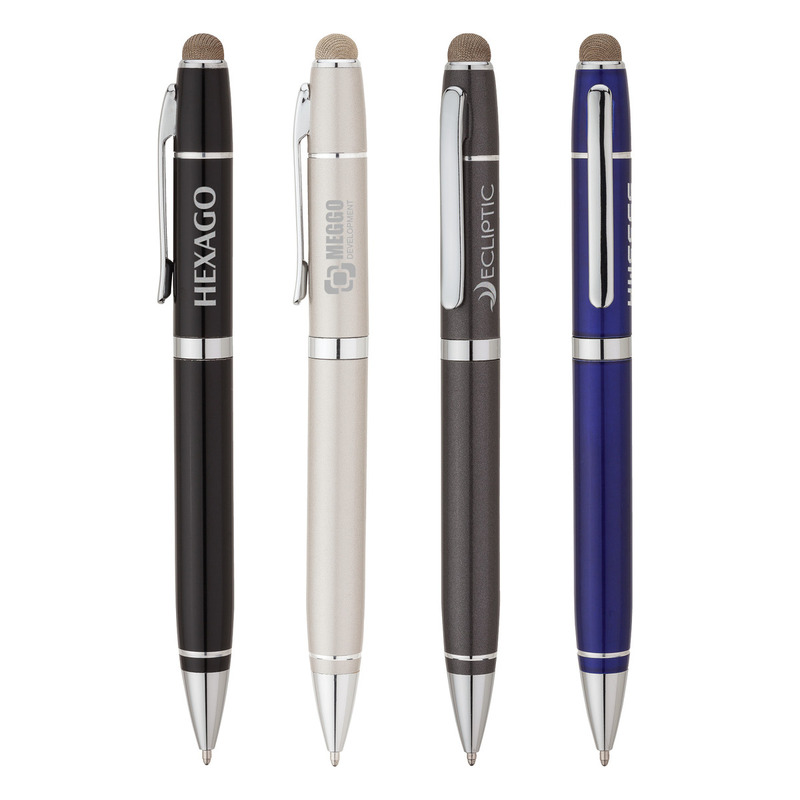 It also has a durable conductive fiber capacitive stylus tip that works with touch screen devices. 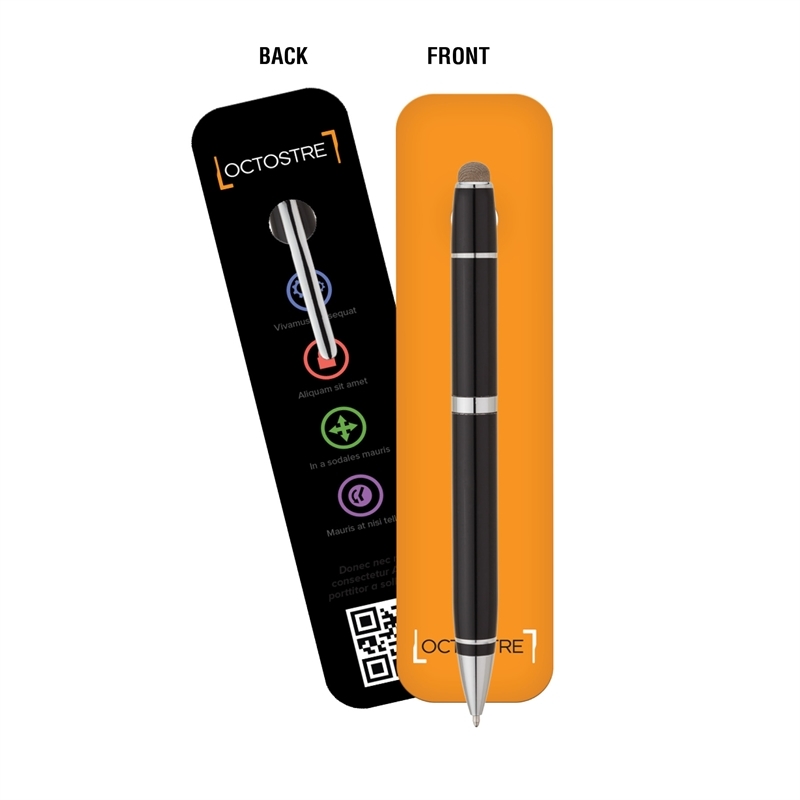 Designed exclusively by Logomark.